A book of incredible stories of miracles and powerful moments, I Believe in Miracles is a book to challenge and inspire. 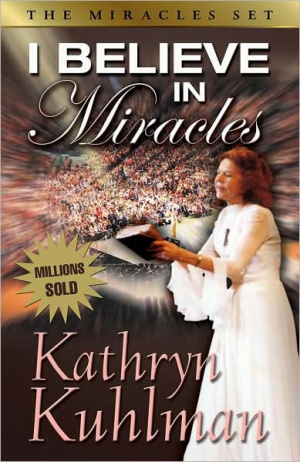 Through incredible testimonies, Kathryn Kuhlman continues to demonstrate God's compassion and awesome power, as she did throughout her life. Discover for yourself the keys to New Life and Victory through the miracle-working ministry of one of God's great servants. The author explains why she believes in miracles, and recounts the stories of men, women and children who have simultaneously been healed by God and given their lives to him. This book stresses that the miracle of faith in God is more important than physical health. I Believe In Miracles by Kathryn Kuhlman was published by Bridge Publishing in September 1996 and is our 7766th best seller. The ISBN for I Believe In Miracles is 9780882706573. Be the first to review I Believe In Miracles! Got a question? No problem! Just click here to ask us about I Believe In Miracles.